Don't spend hours browsing the greeting card aisle just to buy something mediocre. Make unique Original Art Greeting Cards using the Flip Pal Mobile Scanner to create pictures of your original art that you can paste onto homemade cards. 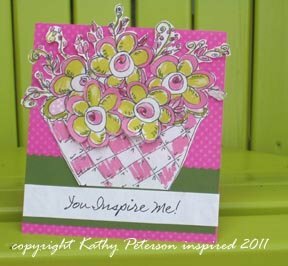 Just follow this easy tutorial from Kathy Peterson. Fold the patterned cardstock into a card of the desired size. Glue a stripe of colored cardstock across the front. Scan your piece of art using the Flip-Pal Mobile Scanner and print the image onto plain cardstock (print 2 copies of the image for a pop-up card). Cut out the image and glue it to the front of the card. Glue another stripe of plain cardstock under the image cutout. Write an inspiring message on this stripe! We interviewed Kathy Peterson on FaveCrafts Radio and asked her about this project. Listen to the May 4 show to hear her tips and tricks.